Marshall Wace has become the second hedge fund to bet against WPP's shares in the space of two months. The UK-based hedge fund has shorted 0.51% of WPP’s stock, according to a disclosure to the UK’s Financial Conduct Authority. Marshall Wace first disclosed its short position to the FCA on 27 October and increased it fractionally on 13 November, filings show. Lone Pine Capital, a US hedge fund, has also had a 0.51% short position against WPP since September. A hedge fund that shorts a stock price is betting that it will fall further in value. WPP, the world’s biggest advertising group, has already seen its valuation drop by more than a third to £16 billion since March. The WPP share price peaked at £19.21 at the start of March, suffered an 11% drop in August after warning of a slowdown in spending by FMCG companies, and has continued to slide, touching a three-year low below £12.50 during trading on 16 November. A hedge fund would have to bet about £80m to short 0.5% of WPP. The FTSE-100 company has spooked investors by reporting two consecutive quarters of falling net sales and has cut its annual revenue growth forecast from 2% in March to "between zero and 1%" in August and then to "broadly flat" in October. 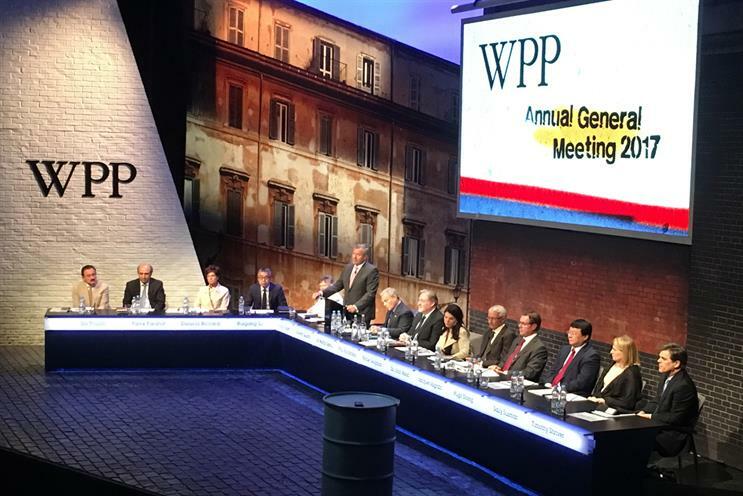 WPP gave a robust defence of its business in a presentation to City analysts at its third-quarter results, playing down fears that Google and Facebook or management consultancies could disrupt the agency model. Paul Richards, an analyst at Numis Securities in London, said in a research note after WPP’s Q3 results that there was still "continued market concern over medium-term headwinds" and "structural challenges" such as FMCGs cutting spend and media agency transparency. However, Brian Wieser, an analyst at US firm Pivotal Research, said: "Businesses we call ‘agencies’ can be remarkably entrepreneurial, providing us with some confidence that new sources of revenue which are either modest today or not yet established will expand or emerge in some form." Wieser rates WPP’s shares a "buy" and has set a target price of £15 for the stock.